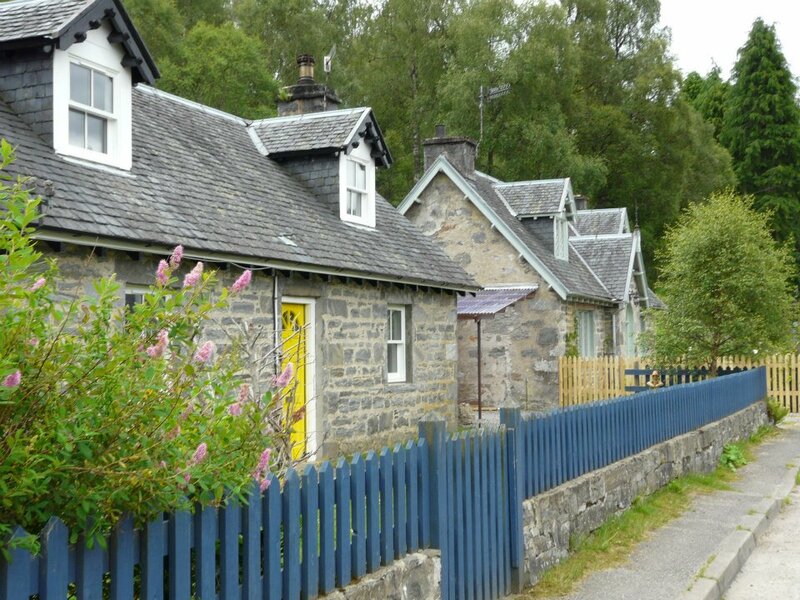 (Scottish Gaelic: Tomaich) is a historic Victorian village built as a model agricultural township in the mid-19th century by the Tweedmouth family. 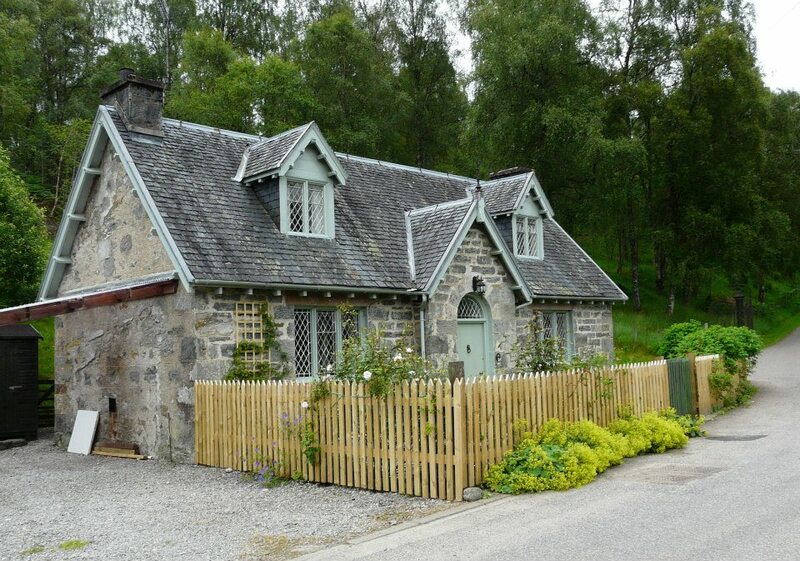 The Village of Tomich forms part of the Guisachan Estate which was created along with Guisachan Farm (which to this day remains largely untouched) to serve Guisachan House. The large house itself which is now derelict lies a further 1.5 miles to the west of the village was the former home of Lord and Lady Tweedmouth. 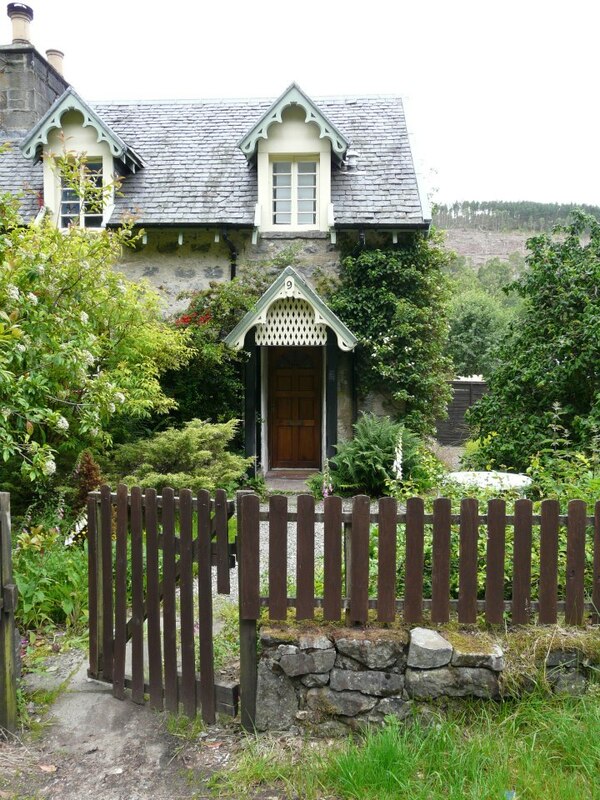 Guisachan meaning 'place of pines'. Lord Tweedmouth who purchased the sporting estate pioneered the sporting dog breed the Golden Retriever. 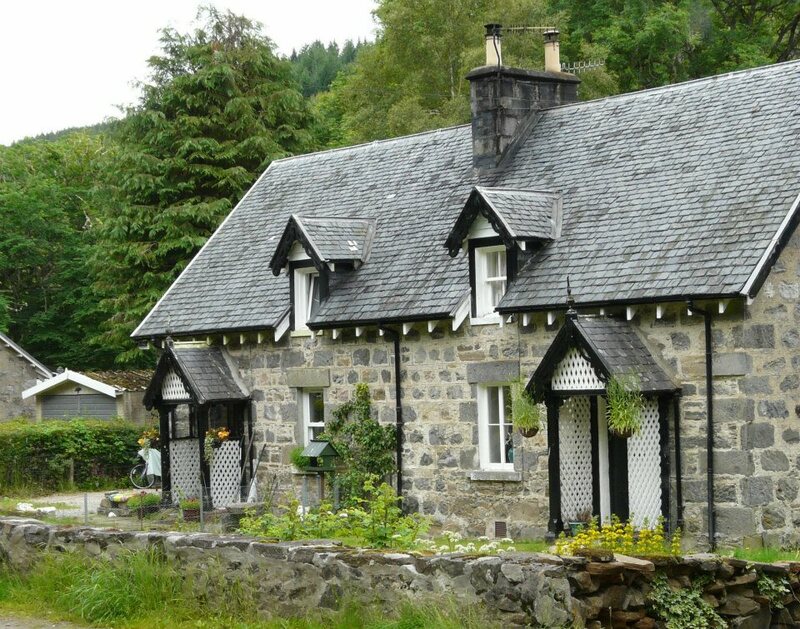 The estate included the old village of Tomich, Lord Tweedmouth cleared the crofts but re-sited the crofters in a new ‘model village’- the present day Tomich. 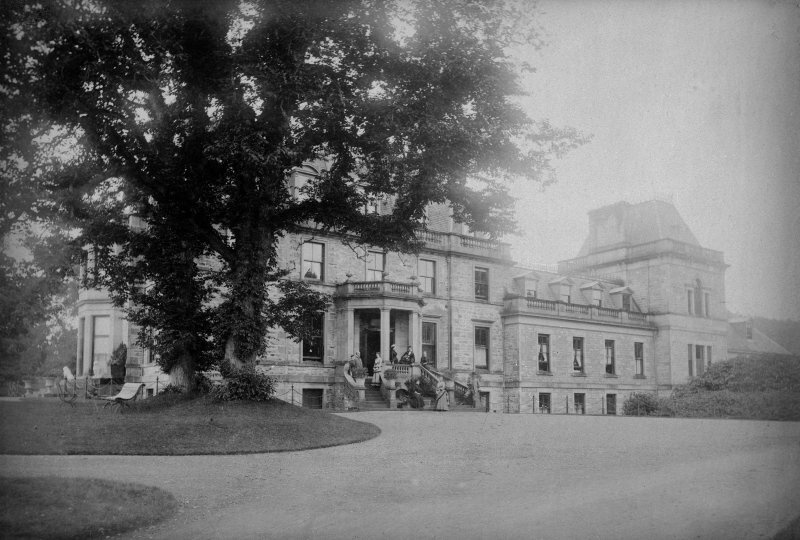 Lord Tweedmouth built a new large mansion house with a golf course, upgraded the roads and paths, planted trees and improved farming practises. The large trees on the estate drive mark the burial sites of favoured coach horses. 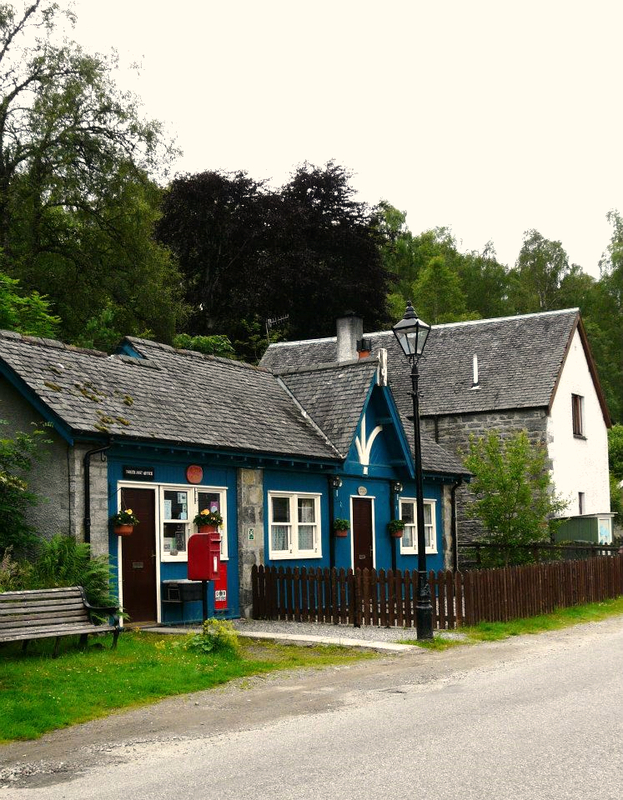 A large impressive monument (in the form of a large drinking fountain) dedicated to the Tweedmouths can be seen in village, the main street through the village is lined with iron lamp posts adding to its charm and uniqueness. The house known as The Brewery was built by Lord Tweedmouth to serve the village, and the Brewers Cottage was built to house the brewer. 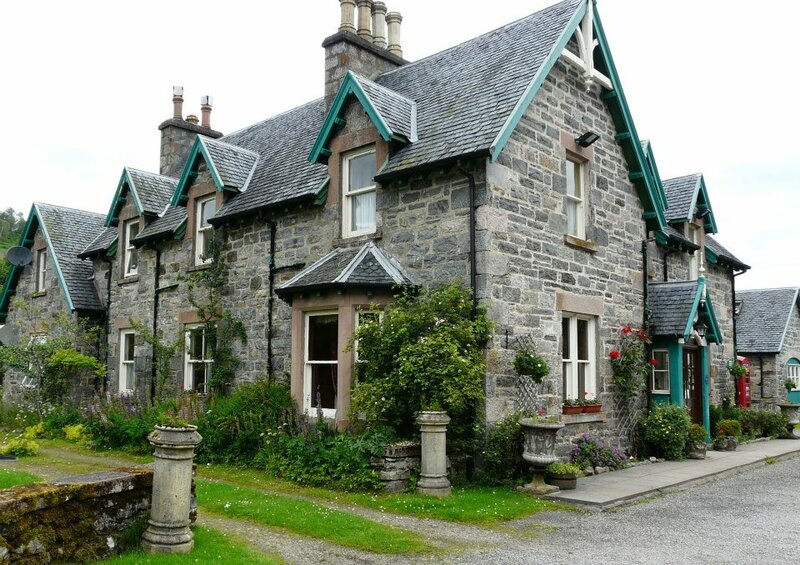 At the west end of the village is the property known as Knockfin (Fingal's Hill), the property was once used as a billet for the detachment of the Highland Military Patrols during and after the Jacobite uprising, the route past Knockfin was formally the main route to Glen Affric and the West coast. The ruins of the former village can be seen by heading through the village to where the road splits. At the split bear right follow the road round over the stone bridge the road then bears to your left. Go through the farm gate (beware the cows! )You will pass through farmland and the ruins can be seen on your left hand side. The service road eventually curves to your right to take you over into Glen Affric emerging at Dog Falls. However if you go through the gate straight on this makes for a lovely walk through coniferous forest to a small loch - Loch an Eang. This is a 10 mile round trip from the cottage. Look out for the Golden Eagles, and the ospreys at the loch. 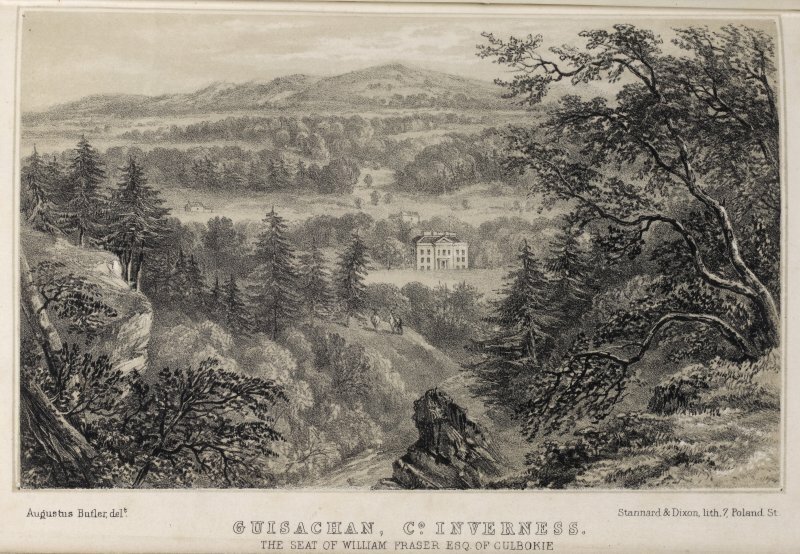 In its prime the estate welcomed many prominent figures - Winston Churchill was a frequent visitor and learnt to drive in and around the village of Tomich.